Gerd Leipold has been a board member of GCF from 2010 to 2017. Leipold studied physics in Munich and Physical Oceanography at the University of Hamburg. He gained his Ph.D. at the Max Planck Institute for Meteorology in Hamburg. 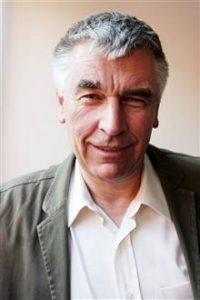 From 1982 to 1987 he was the director of Greenpeace Germany and from 1987 to 1992 he coordinated the international disarmament work of Greenpeace International. Between 1993 and 2001 he ran his own consultancy company ‘Gem Partners Ltd’ in London. From 2001 to 2009 he was the Executive Director of Greenpeace International. He is now consulting companies on sustainable development and advises NGOs and scientific institutions on communication and strategy. He is a trustee of the Humboldt – Viadrina School of Governance and a member of the advisory board of the German development organization Welthungerhilfe.